On Thursday, June 14, SIA LSC received gold category evaluation in Sustainability Index 2018 for a sustainable company management and high level of corporate accountability. 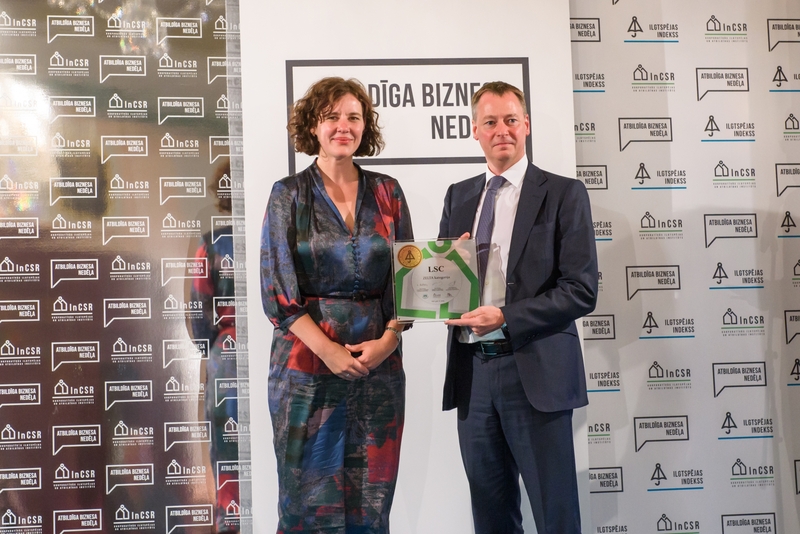 The company receives gold category evaluation already for the second successive year and demonstrates the work the company has invested in development of sustainable business. "We invest much work on providing that the company operates in accordance with all highest standards both in the area of safety and personnel development, as well as environment protection. We have developed both everyday activities and a long-term strategy for this purpose. The high evaluation we have received this year from the experts of Sustainability Index brings us joy – it is gratifying and gives us an even greater determination to follow the examples of good governance. Well-considered company strategy, investments in safety, development and personal growth of our personnel have surely promoted the increase in sustainability performance," commented Roberts Kirkups, Chairman of the Board of SIA LSC. 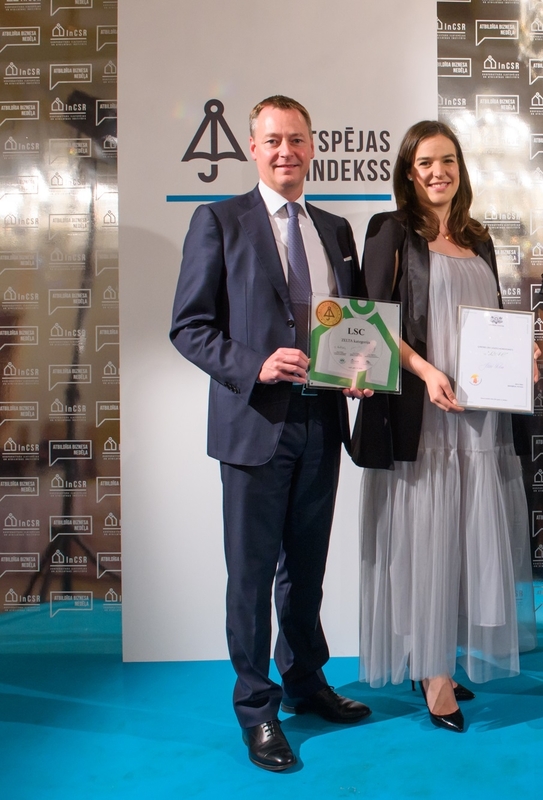 "Especially we are happy of the fact that repeatedly we were awarded with the status of family-friendly merchant that officially proves that in our company care for well-being of our personnel and their families is a high priority. 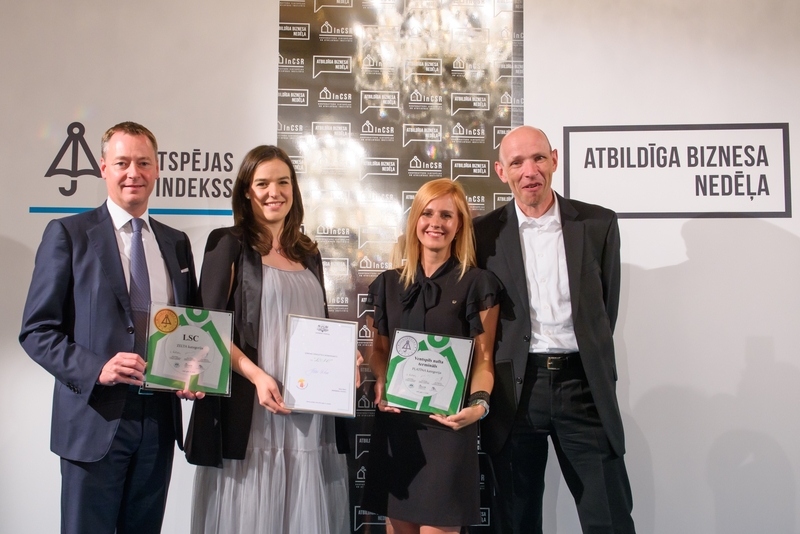 LSC takes part in the Sustainability Index already for four years, and in previous years has also received awards: bronze in the first year, then silver, and now already two successive gold categories. 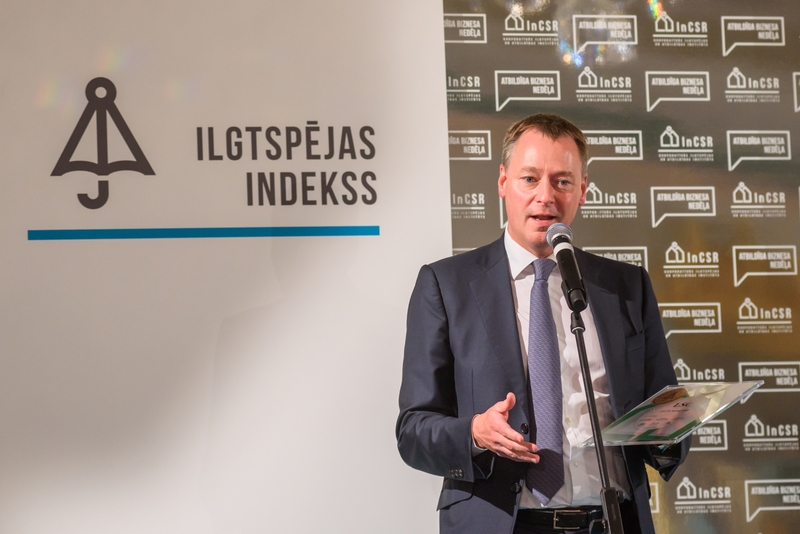 Sustainability Index is organised in Latvia already for the ninth year. It is a strategic management tool based on experience of the most influential global index Dow Jones Sustainability Index and Business in the Community CR Index in internationally acknowledged methodology in five categories: strategy, work environment, market relationships, environment and community. Partners of initiative are Institute for Corporate Sustainability and Responsibility, Employers’ Confederation of Latvia and Free Trade Union Confederation of Latvia.